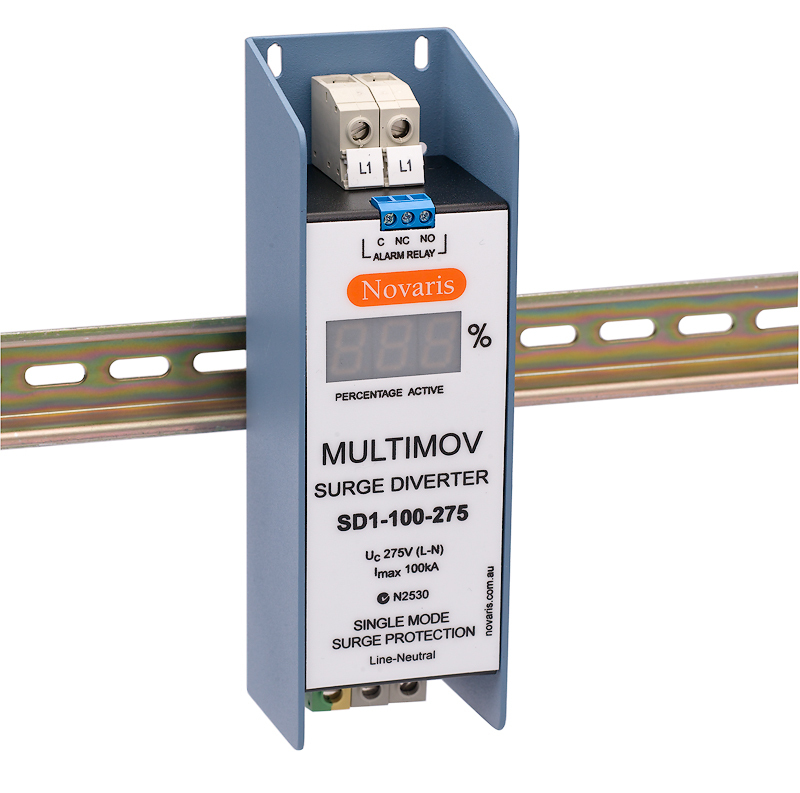 Novaris MULTIMOV surge diverters offer unsurpassed safety, quality and reliability in protection for your electrical system. MULTIMOV surge diverters are an ideal point-of-entry protector for all industrial, commercial and communications applications. Novaris MULTIMOV MSB surge diverters offer unsurpassed safety, quality and reliability in protection for your electrical system. MULTIMOV surge diverters are an ideal point-of-entry protector for all industrial, commercial and communications applications. 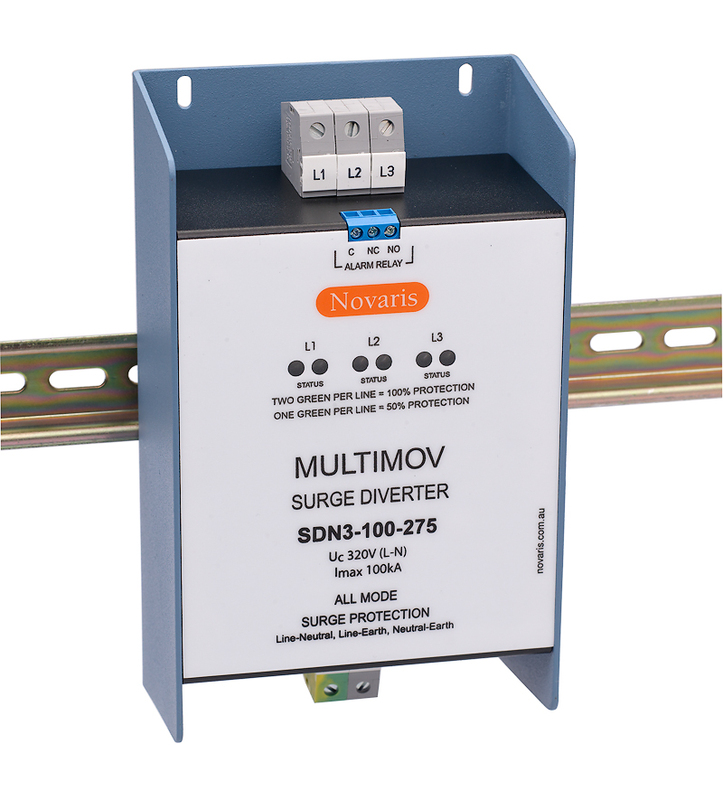 Novaris SDN Surge Diverters are the ideal choice for all mode protection in major distribution switchboards. Being all mode the SDN is particularly suitable for switchboards in non MEN installations. 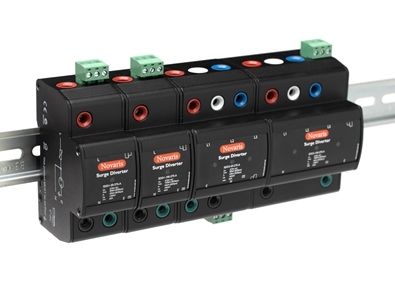 Novaris SDD DINsafe Surge Diverters offer powerful performance at domestic MSB and industrial DBs. The SDD diverters are housed in a DIN compliant, fail-safe metal enclosure.